Her high quality impersonation of Gladys Knight is acclaimed as outstanding, memorable and comes to life as soon as she hits those boards. 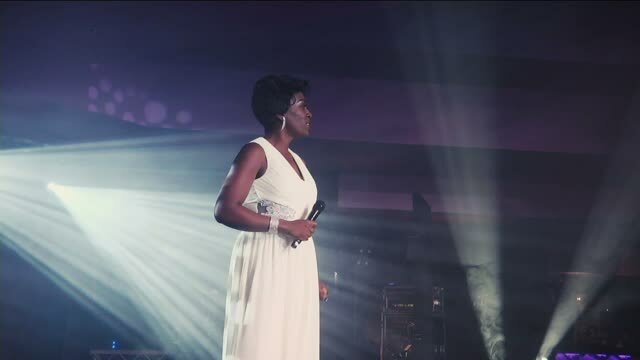 The very talented Hayley-Ria Christian, cleverly captures the heyday of the Gladys Knight phenomenon during the Soul, R&B and Motown era. She gives her audience the golden opportunity to experience a heart-warming tribute capturing the true magic that Gladys Knight provides on stage. Along with a lot of hard work, passion and vocal techniques, her soulful voice and vocal range can deliver the classics with all the R&B/Soul Super-Hits and of course the Great Ballads that we all love. “I heard it through the Grapevine”, “Come Back & Finish what you started” Her Signature Tune – “Midnight Train” “Baby Don’t Change Your Mind”, “Try to Remember/The Way We Were” “Best Thing that ever happened”, “Licence to Kill”, “Love Overboard” “Help Me Make it Through the Night”, “Neither One of Us (Wants to be the first to say goodbye)” “And I’m Telling You I’m Not Going”, And More…..